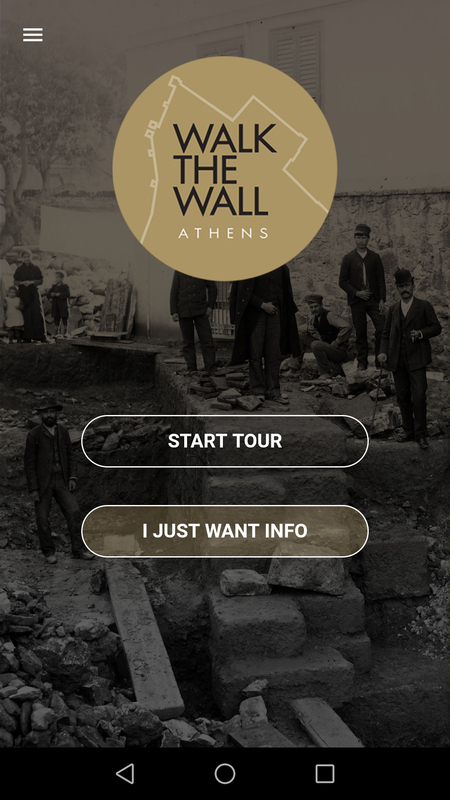 In June 2018 Dipylon together with fluidmedia launched Walk the Wall Athens, a bilingual, free of charge mobile application for smartphones and tablets. 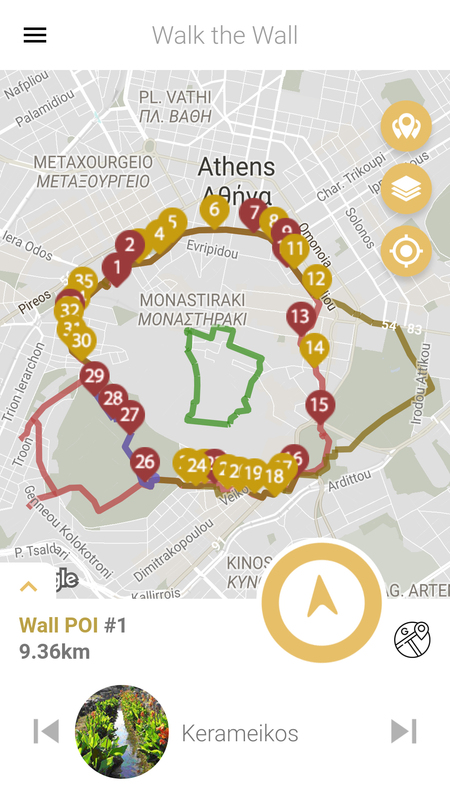 With the help of this app, the user goes on a unique tour of the historical center of Athens and visits its ancient walls. The Themistoklean wall surrounds Athens like a historical chain. The areas it runs through are often associated with references in ancient written sources, whereas each archaeological site that the user will visit has made its own contribution to the history of the city. At each step on the ancient wall one has the opportunity to see the exact boundary of the ancient city that existed from Classical times (5th century BC) to the Early Byzantine period (6th century AD), that is, a course of approximately 1000 years. From a total of 180 archaeological sites, in which remains of the ancient wall have been revealed so far, Dipylon has selected 35 points of this historical route, which you are invited to visit. For iPhone through the App Store click here. 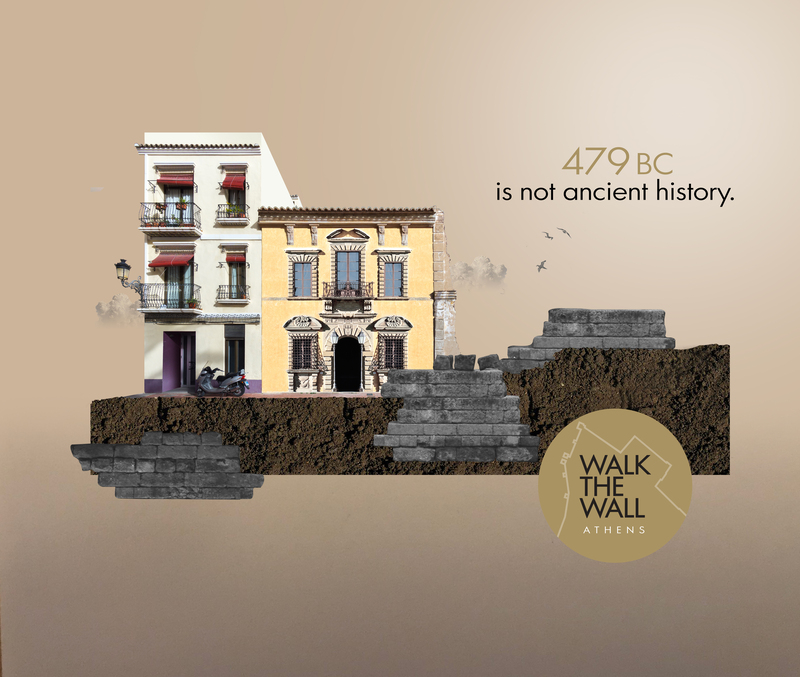 In September 2018, Walk the Wall Athens was awarded the SILVER award in the category of Tourism/Culture at the Mobile Excellence Awards. It was also nominated as the best national digital solution for Greece at the 2018 World Summit Awards and made it to the shortlist.